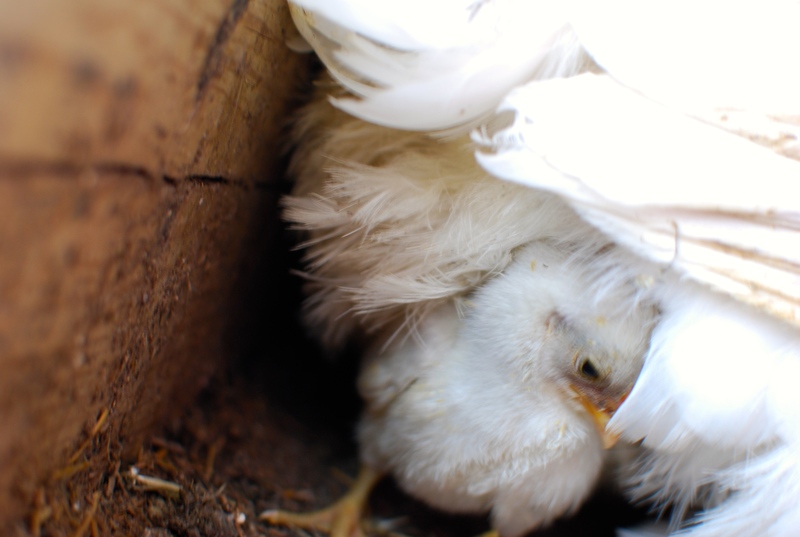 Like most everything else in life, our chick project hasn’t been going quite as planned. 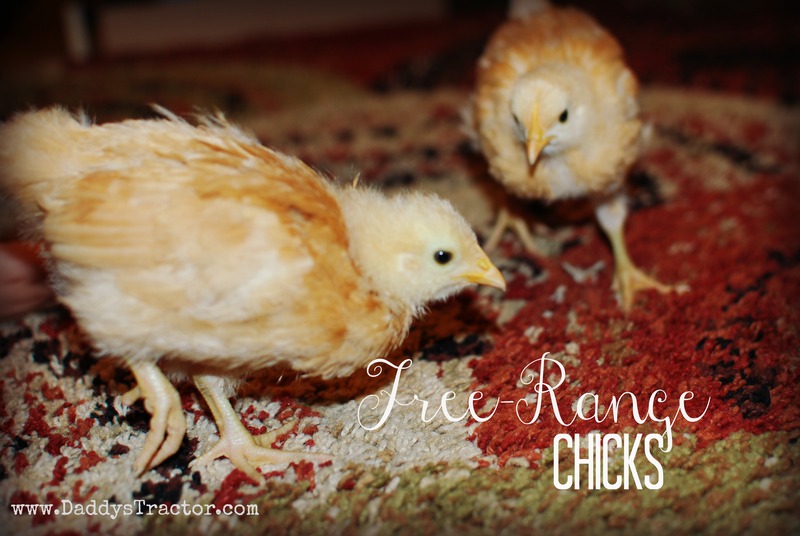 To recap I brought home three Buff Orpington chicks a few weeks ago, not because we needed more laying hens, but because my kids love them so much. 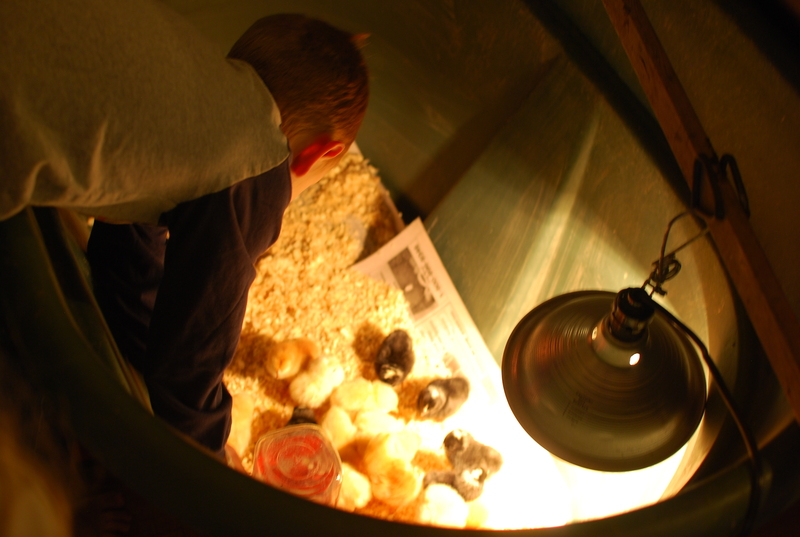 The difference between three chicks as pets and 25 laying birds is that my kiddos loved on those same three birds constantly. And funny enough, those birds have gotten quite attached to my kids! 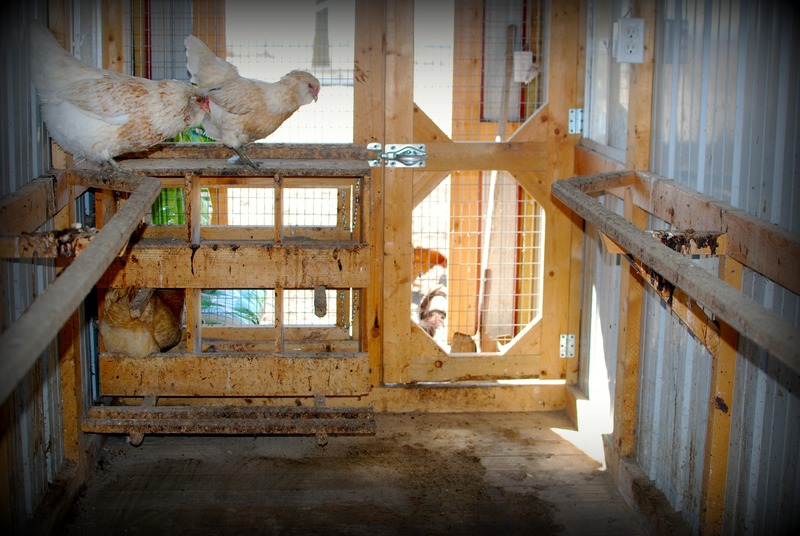 Which has lead to the problem of the free-range chicks. 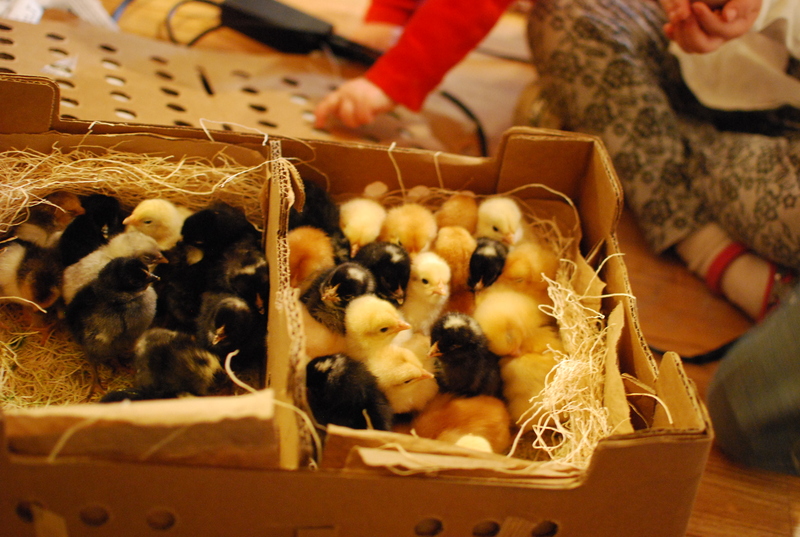 We had chicks on our laps during movies, while playing games, and even during school. 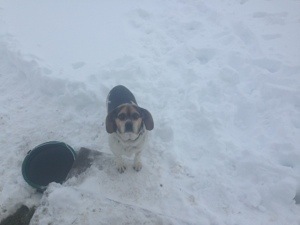 And since this is not my idea of a “teacher’s pet,” it was time to move those girls outside! They are more attached to Brett and Anna than ever now, since outside is an intimidating place. 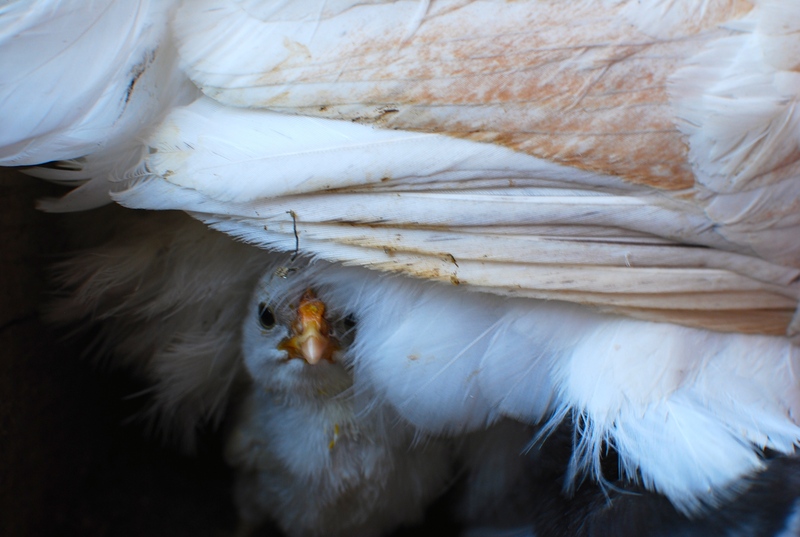 I’m watching them through the window as I’m typing and the kids are trying to get a chick to stay in one place (no idea…) and the little bird is having none of it. She is right there by their feet at all times. So not as planned, but pretty great anyhow. Many people want to do what we do. A house in the country, taking care of a couple of goats, a flock of chickens, and a Daddy who farms is the dream of many American families. 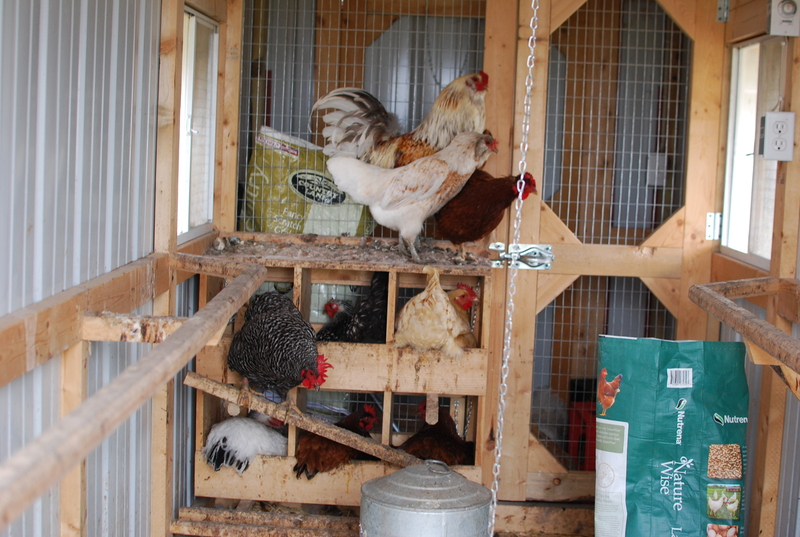 Getting your own fresh eggs from the backyard seems so ideal. 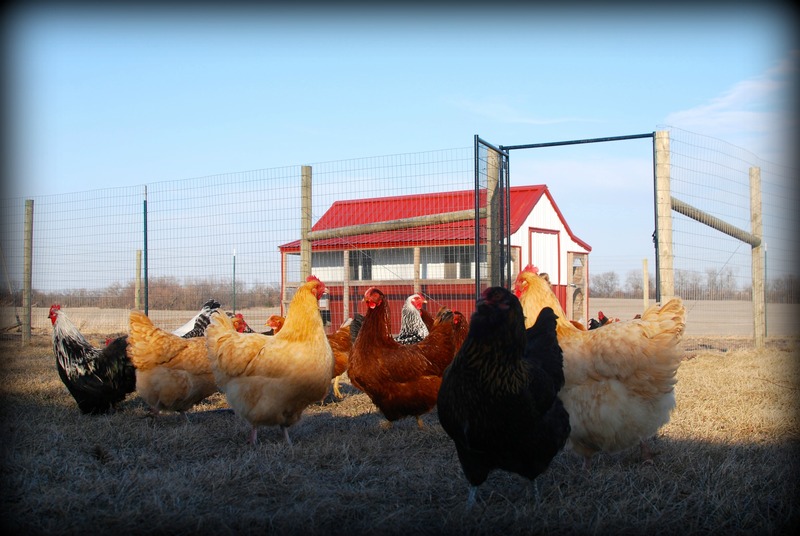 Because fresh eggs require live chickens, and live chickens must be feed and watered everyday, in cold, heat, wind and rain. So then the chickens poop. Constantly. On top of that, life happens. A few weeks ago I noticed the hens were going through a lot of water. Then I realized why. 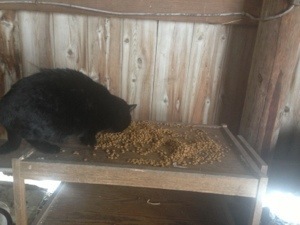 Their waterer, which rests on a heated base, was leaking down onto the base and seeping under the layer of straw and poo. 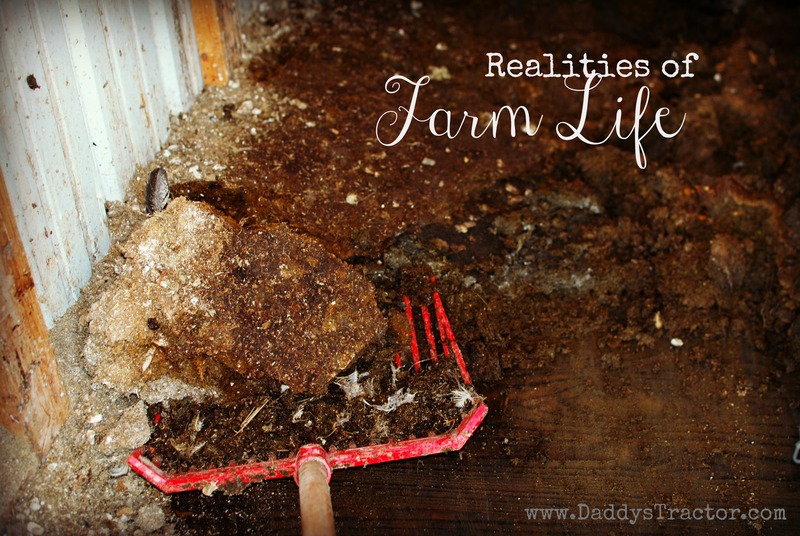 By the time I figured this out I had 9 inches of soggy, wet, manure. It smelled just like it sounds it would. First thing was to let the chickens out for recess. Or that’s what they act like when you open their gate! 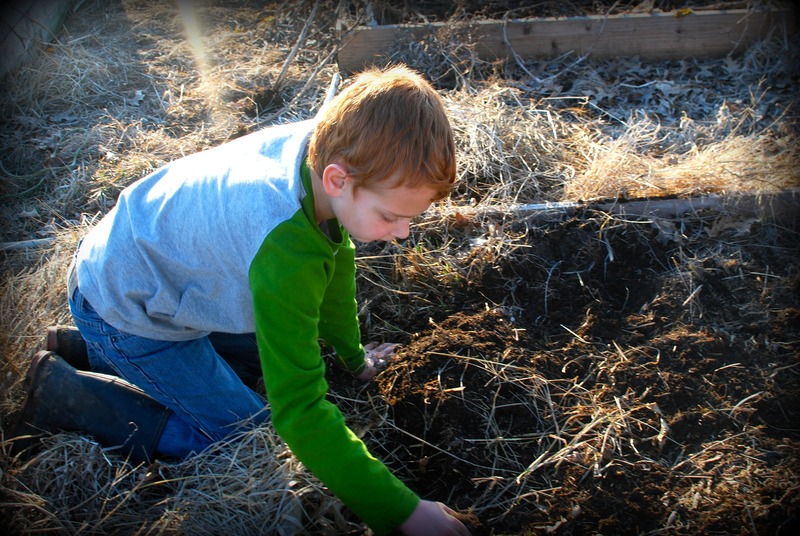 Then we shoveled all the manure into the wagon and wheelbarrow and took it down to the garden boxes. Although nasty smelling and very heavy, sopping wet chicken litter is fantastic garden compost. 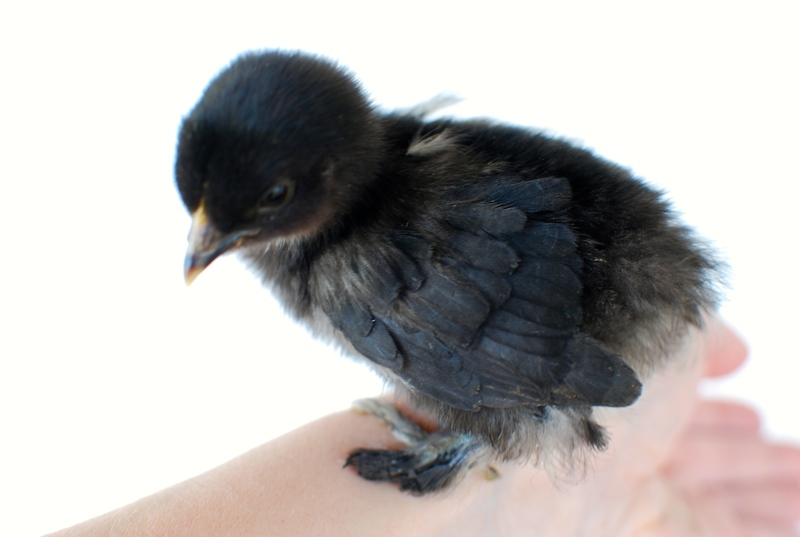 You have to plan ahead, however, because chicken litter can also burn plants. It needs to decompose for a few months– which is perfect because our last frost date. 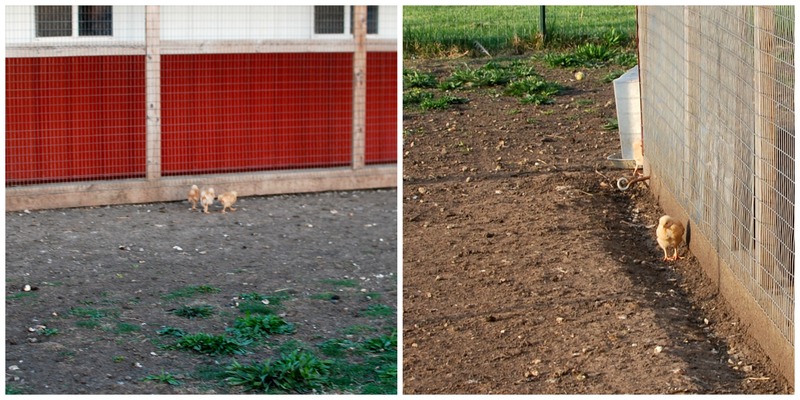 It took two days, but Brett and I finally hauled all that mess out of the coop and down to the garden. 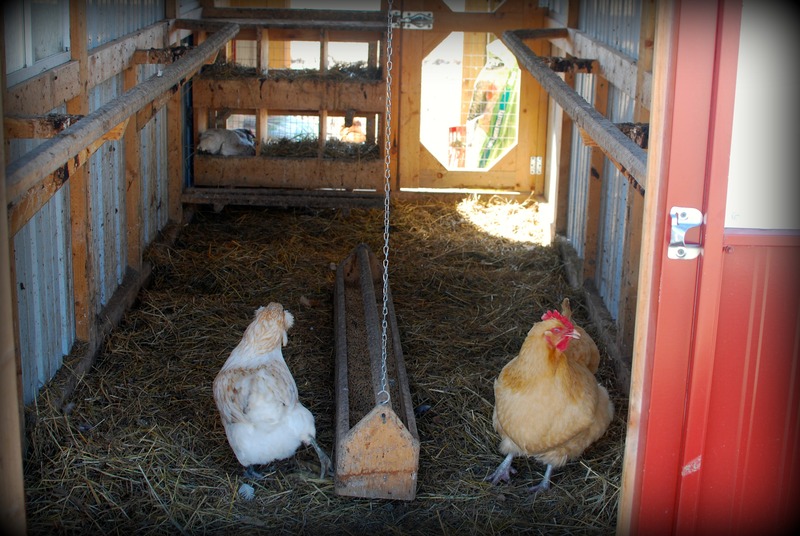 Since the coop doesn’t have heat I don’t clean it out during the winter, using the process of decomposing to create a layer of heat on the floor. We haven’t seen the bottom of this mess since last fall! The funniest part was hearing those crazy girls after putting down their new hay. They make So Much Noise! 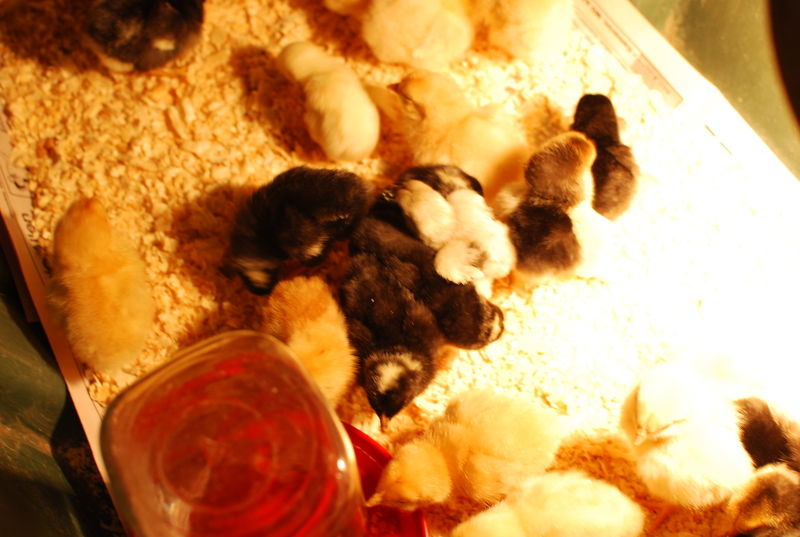 6 of the Cutest Chicks Ever! So our project is still working and you’ve got to see these pictures! Gives new meaning to “Mom’s Taxi Service.” BTW, this chick does this all the time!! So warm and cozy under here! This pic makes me laugh; it’s such a “big” chicken face for such a little girl! 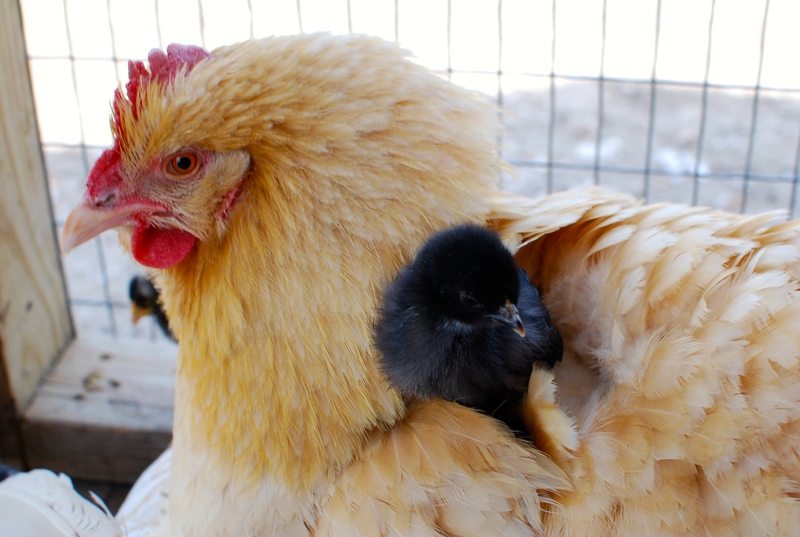 The mamas spread out their wings for the babies to huddle under– these two hens have been working together to make one big mama blanket!! At two weeks old these banties are still so tiny! Its February! The thing I love most about February is that we’re just that much closer to spring, but Valentine’s Day is right up there. 😉 Just for fun I’ve made a free, farm-themed Valentine’s Day card printable. 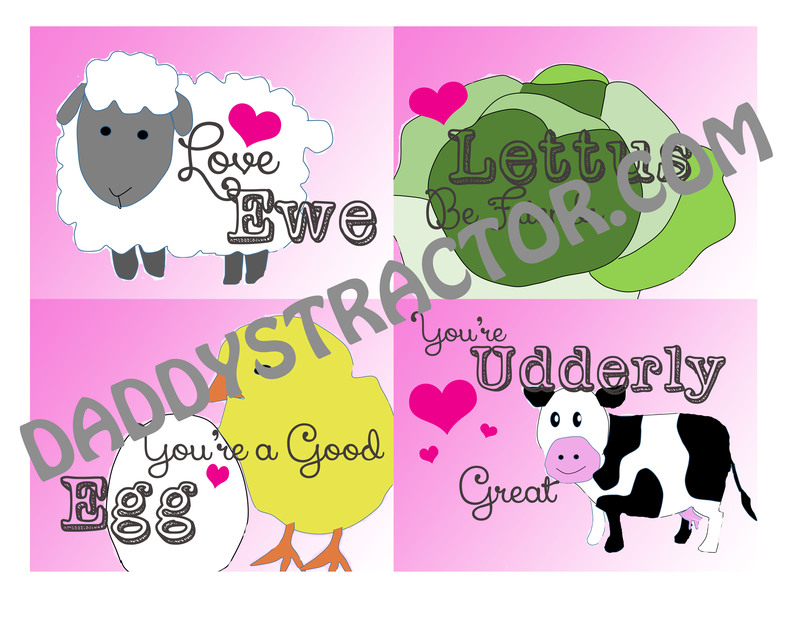 Click here to download Farm Valentines. And happy closer to spring! Both parties have been appeased! The strike is finally over! 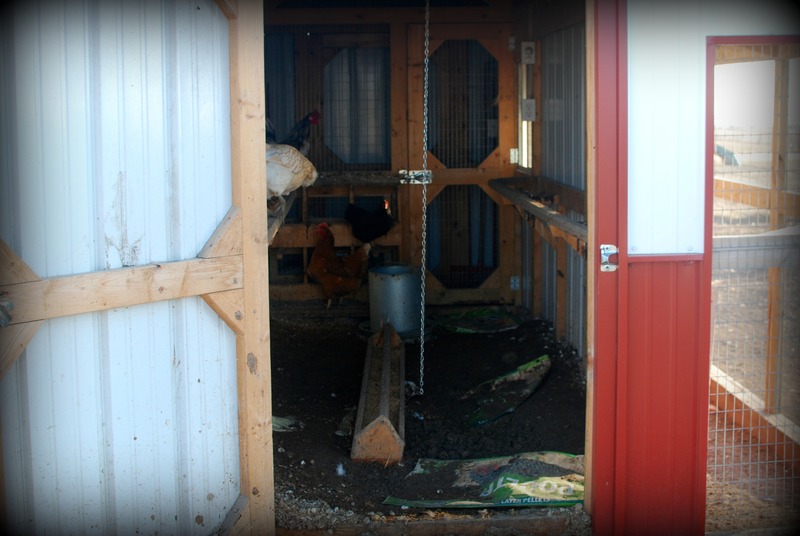 No, no bus drivers or teachers here on the farm, just some disgruntled chickens. They wanted more daylight. I told them they’d have to take that up with a higher authority. But finally, after months of waiting, the workers are back. 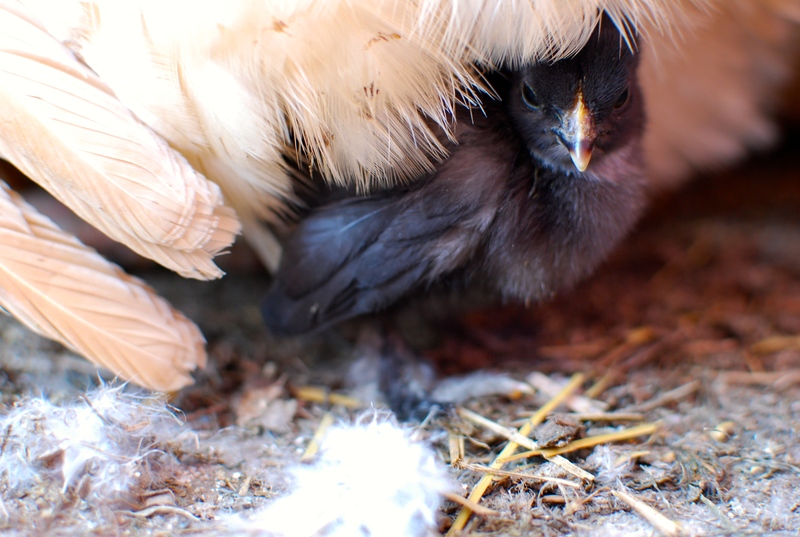 I think the trouble started when my early spring chicks began to molt in their first year of life. 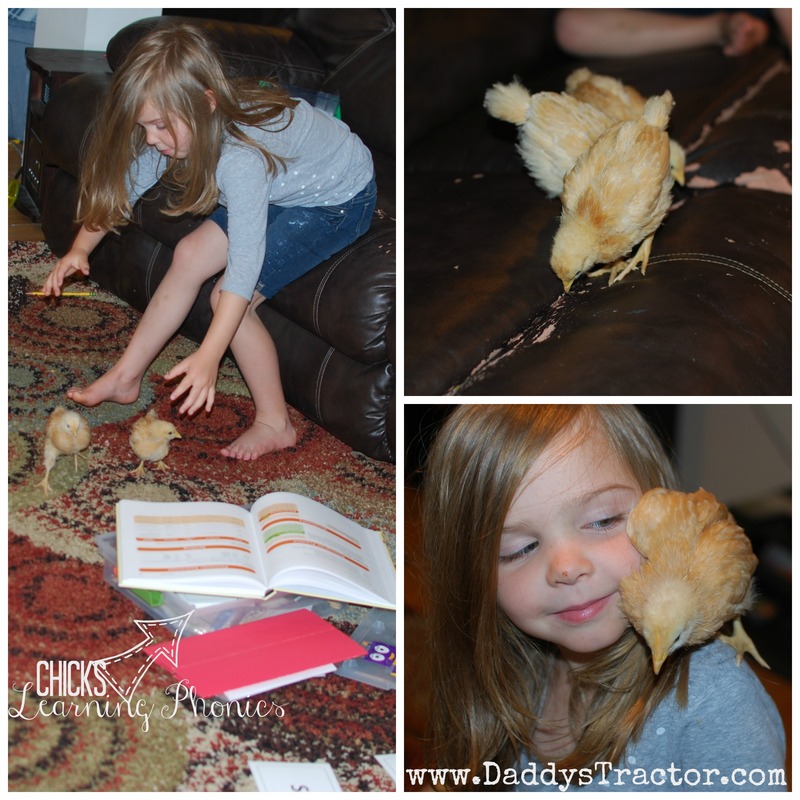 Most chickens molt during their second fall. 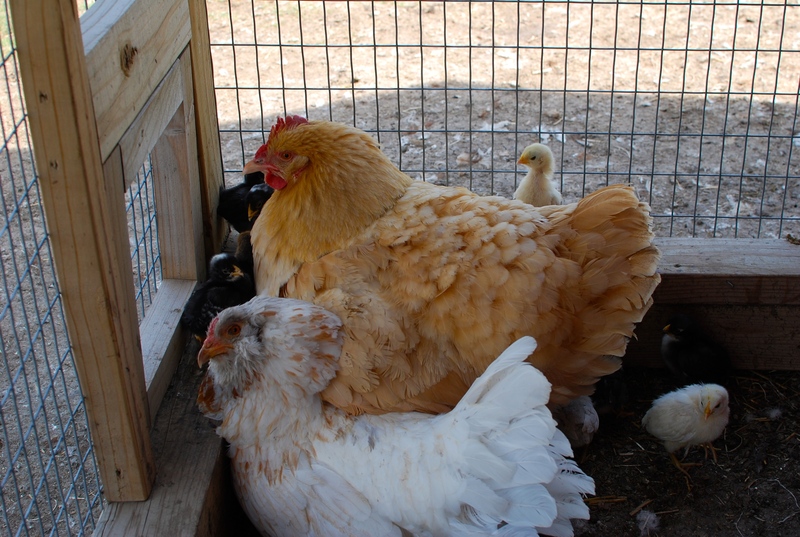 Well, these ladies didn’t begin molting until after Thanksgiving. 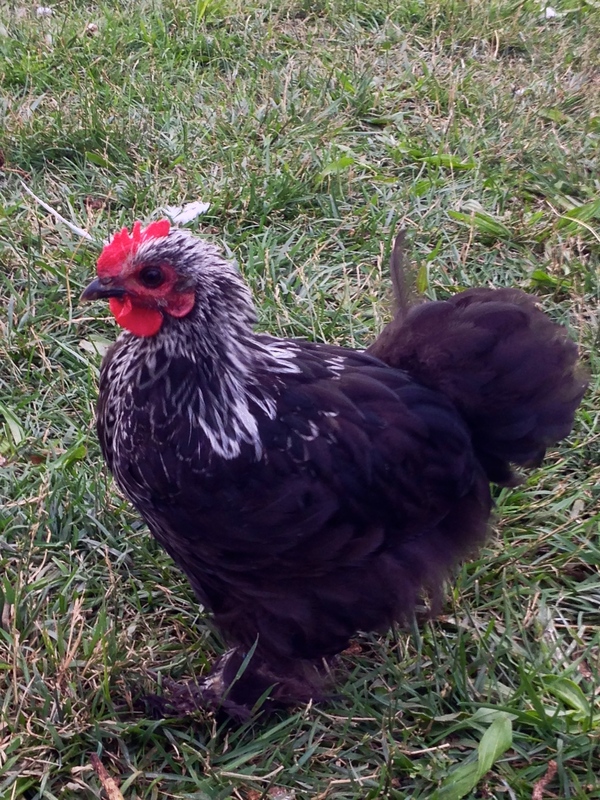 Which I told them was a bad decision, but do chickens ever listen?!?! At least they have now made a comeback. 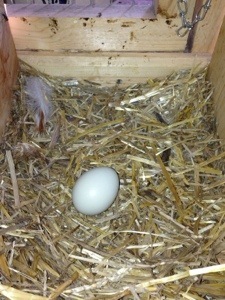 I’m not getting a lot of eggs at this point but I didn’t expect that in January anyway. 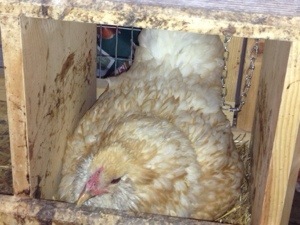 Now the biggest problem is collecting them from the coop before they freeze! Right now my phone tells me it’s 7° outside. It’s supposed to be 0° by 8 o’clock tonight, with an final low of -7 by the time the day is done. The irony of having livestock is more extreme the weather the more time you have to spend out in it. Despite a canceled church service yesterday and no school today I got up early to check on the animals first thing both mornings. 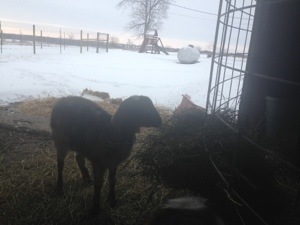 We have a heated waterer for the dog, cats, goats, and the lamb, but it still has to be checked because in these extreme temperatures not even the automatic heat works every time. They also eat a lot more food in extremely cold temperatures! The back entryway is a mess! 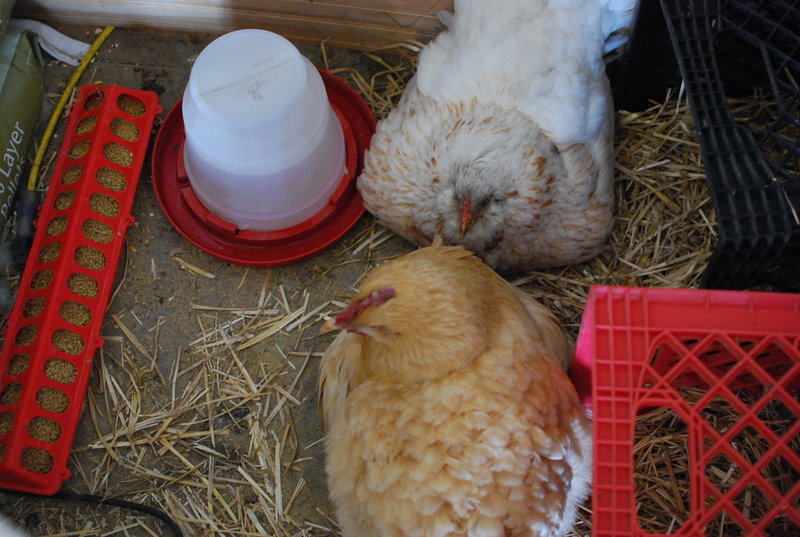 The chickens waterers must be brought in and thawed so I can exchange them throughout the day. Lizzie takes her bottle twice a day by the back door, And the rest of it is littered with mud boots, scarves, hats, gloves and old towels to soak up the melted snow. It took me 30 minutes this morning and will require another half hour tonight to make sure that all of the animals are fed and watered. But just imagine if instead of a handful of backyard animals you had a whole farm full of livestock that your livelihood depended upon! Today in this freezing cold weather many farmers and ranchers will be outside almost all day providing for their livestock. They’ll do this today, tomorrow, and even on Christmas morning! So thanks to all the farmers who provided my Christmas ham, yams, and eggnog! 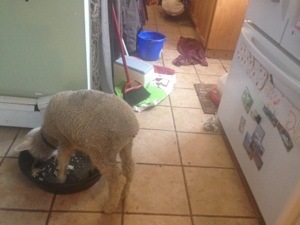 In the six days I’ve owned a lamb I’ve learned they are only slightly easier than baby chicks to keep alive. The advantage of sheep is they are large enough to avoid predators like opossums or raccoons. Their main disadvantage is that they baa loudly, inviting coyotes for a four county area into the backyard. I’m thinks about setting out a guest book to see who travels farthest. The new lamb has also reminded me how much the goats have grown! 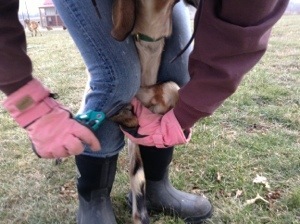 This morning I set out to trim the goats’ hooves. Trimming should be done every three months or so and my calendar kindly reminded me yesterday that this job needed to be done in December. Last time I trimmed Harriet and Fanny’s hooves I held them with my legs and trimmed with both hands. As you can see, the much larger animals were not so easy. I had Brian get a few more shots of the process and then he had to help me hold them. Thank goodness, because Fanny’s hooves were pretty pointy, despite the fact that I trimmed them at the beginning of October. A goat in the wild would be climbing rocks and such, wearing down the hoof material, but soft grass just isn’t doing that for these girls! 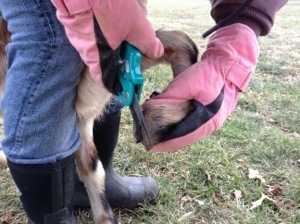 Since feet are vitally important to animals 😉 caring for them should be top priority for goat owners. I think I’ll set my next calendar reminder for February, instead of March! By February I imagine Lizzie’s toes will need trimming as well. Thank goodness the chickens will be fine! If only they’d finish molting and get back to laying eggs. Animal ownership– gotta love it! !